Job site signs are a great way to take advantage of possible referrals your team could get from site! Job site signs are able to provide you with advertisement throughout the length of the project. Signarama Troy has helped many contractors who work in landscaping, plumbing, roofing, interior decorating, electrical, home remodeling, construction, painting, & much more! 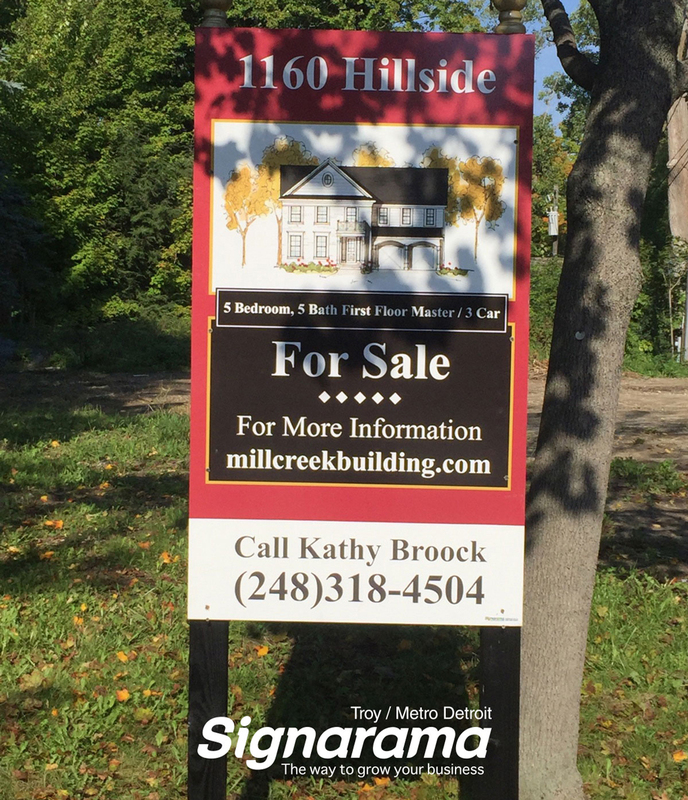 Signarama of Troy / Metro Detroit will provide you with a budget-minded solution using long-lasting sign materials so that your investment in the project will last for a very long time. 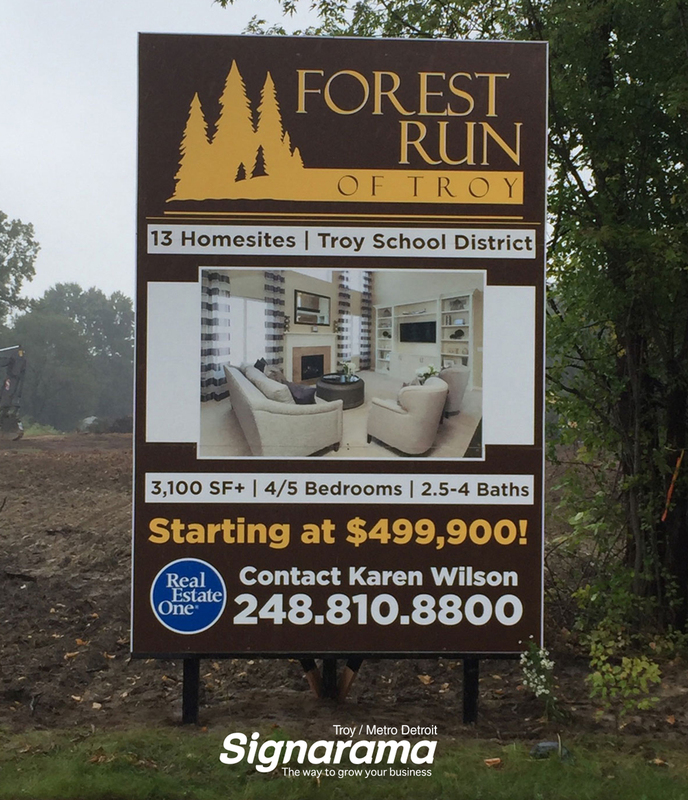 Job site signs produced by Signarama of Troy are created using wood based materials, with full-color printed graphics. The material we used has a UV coating so that you won't start to see any fading. This rigid material also allows for multiple job site usage.